Seattle Semi-Truck Accident Attorneys | Davis Law Group, P.S. Serious and fatal trucking accidents are all too common in Washington state. Semi-trucks and other commercial vehicles are much larger than the average passenger car, and these crashes often leave victims with serious injuries, costly medical bills, lost wages due to missed time at work, and other damages that impact their lives and financial future. Trucking insurance companies aggressively defend against injury claims and will often do whatever it takes to pay out as little as possible to the injured victim. It may be necessary to file a lawsuit in order for victims to recover fair compensation. Attorney Chris Davis has decades of experience handling serious truck accident cases and has recovered millions of dollars in compensation for his clients. If you or a loved one has been seriously injured in an accident involving a large commercial truck, contact Chris Davis and the team at Davis Law Group at (206) 727-4000 to schedule your free legal consultation. Attorney Chris Davis has been named one of the Top 10 Trucking Accident Lawyers in Washington State by the Trucking Trial Lawyers Association. Because of his experience in handling truck accident claims, Mr. Davis' opinion is often featured by local and national news media covering trucking-related issues and incidents. In many ways, accident cases involving large trucks are much more complicated than standard car accident claims. There is also a lot more at stake. Aggressive litigation. Because of the potential catastrophic nature of a semi truck accident, the damages are often high. The trucking companies and their insurance carriers have a lot to lose in these cases, and you can expect them to aggressively defend their position. Complex laws and regulations. It takes many years to become knowledgeable in the rules and regulations that govern the trucking industry. Mr. Davis’ experience handling these claims has resulted in millions of dollars for our clients. Multiple defendants. Many times there is more than one at-fault person or party in a semi truck collision. Identifying all at-fault parties is key to maximizing your claim. Expert witnesses. Most truck accident cases involve tremendous wreckage. Our attorneys have experience examining truck accident scenes and working with experts to bolster our clients’ cases. We recovered a $3 million settlement on behalf of a married couple who was killed in a high-speed collision with a commercial vehicle in Washington. The sons of the deceased hired our after extensive attorney research. Our attorneys successfully negotiated a settlement of more than $2 million for a young man who was seriously injured after his vehicle was struck by a semi-truck on Interstate 5 in Seattle. The Washington state truck accident attorneys at Davis Law Group have fought against many of the national trucking companies such as JB Hunt, Knight Transportation, Swift Transportation, and more. Attorney Chris Davis has also filed lawsuits against many regional truck companies in the Pacific Northwest for their negligent actions. Don’t wait to take action after a serious trucking collision. Put the attorneys at Davis Law Group on your case right away. Call us at (206) 727-4000 or contact with us online and get started on the road to your recovery. We serve clients in Seattle and and throughout the state of Washington. If you have been harmed in a truck accident in Washington state, we will strive to get you the money you need to be fully compensated for your injuries and your costs. These cases can be extremely costly and difficult to pursue without the expertise of a qualified personal injury attorney, so it is important to act quickly in order to protect your legal rights and interests. Davis Law Group will consider factors such as the extent of your injuries, your income prior to and following the accident, and the strength of the physical evidence to help determine what a fair recovery will be for you. We will waste no time going to bat for you and your family. Distracted driving. Cell phone use behind the wheel is a major concern, and the problem is amplified when it applies to truck drivers. Driver fatigue. Commercial vehicle operators have strict guidelines they must follow when it comes to hours behind the wheel. Drunk driving. 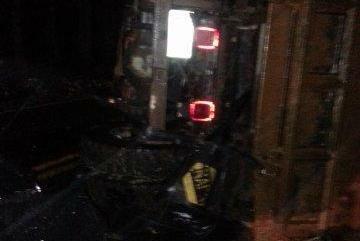 Thousands of semi truck accidents are caused each year by a intoxicated truck driver. Drugged driving. Trucking companies almost always prohibit drivers from using drugs of any kind, but that often isn’t enough. Backing up. A truck driver in reverse can be a dangerous situation, particularly for pedestrians. Speeding. Trucks take a long time to slow down, and an out-of-control semi truck can cause disastrous damage. Unsecured loads. If a semi truck loses its load, the driver and trucking company can be held responsible. Blind spots. It’s difficult to see while behind the wheel of a semi truck, but that is no excuse when an accident is caused. Maintenance issues. Federal laws stipulate that commercial vehicles are in proper shape. Traveling too fast for conditions. In adverse weather conditions, semi truck drivers should be extremely cautious, more so than other drivers. Improper turns. Dangerous maneuvers behind the wheel of a semi truck can be fatal or extremely serious for other drivers. Parking illegally. Truckers that pull over on the side of the road have a duty to make sure they do so in a safe fashion. If you were injured in a truck accident due to one of the above actions, contact Davis Law Group as soon as possible to learn more about how we can help. These are the most common types of severe trucking crashes that occur on the roadways. Because these types of crashes are so catastrophic, it is important to call an attorney immediately to go over your legal rights. Call (206) 727-4000. Every accident is different and there are many types of injuries, both minor and major. Unfortunately, when a large truck is involved in a collision, the injuries are often major and life-changing. 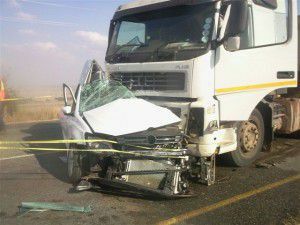 Unfortunately, death is also a potential outcome of a serious truck crash. 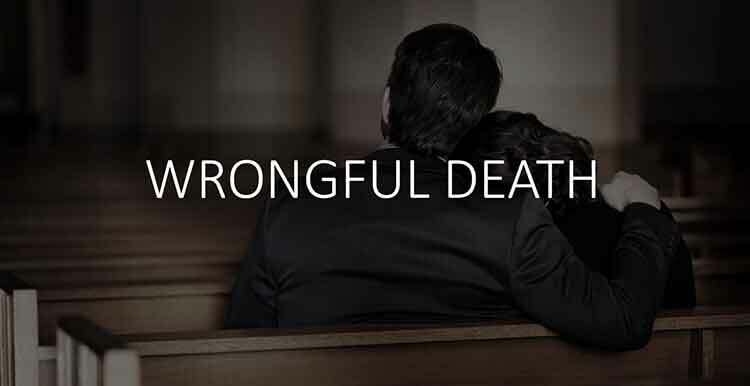 If you have lost a loved one in a truck crash, your loved one’s estate may have the right to pursue a wrongful death claim. How do I know if I need a semi truck accident lawyer? How much does it cost to hire a truck wreck attorney? How do trucking companies gain the upper hand after an accident? What are the common insurance issues in a trucking case? What are the common defenses trucking companies use to deny a claim? What are some attorney mistakes that could ruin my case? How do attorneys investigate semi truck accidents? How many trucks accident happen each year in Washington? Our legal team is dedicated to helping you get the best possible result for your truck accident injury case, as we have for each and every one of our clients over the past 25 years. If you or a loved one has been injured in a truck accident in Washington state, it may be in your best interests to consult with an experienced trucking accident attorney. Don't trust your legal rights and financial future with just anyone else, hire the award-winning attorneys at the personal injury law firm of Davis Law Group. We offer a free case review to all truck accident victims and our law firm works on a contingency fee basis, which means there are no up-front fees and you do not owe anything until we successfully resolve your case. Call our office at (206) 727-4000.